QuickImageComment can alter meta data information in digital images quickly and easily. 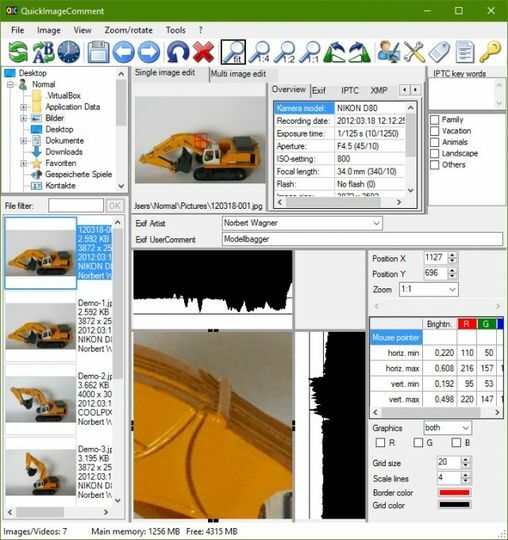 It supports common image formats such as JPEG and TIFF, and supports metadata attributes in EXIF, IPTC, and XMP. NOTE: For 32-bit Windows, download QuickImageComment (32-bit) instead.